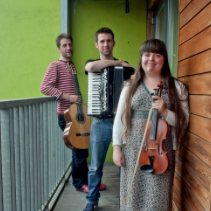 Emily & the Simons are an Anglo-Belgian Balfolk trio. They met in England’s Peak District, at the folk festival “Skint” and began to perform together professionally soon after. Their music is centred around Emily’s compositions, drawing inspiration from life's encounters and the energy of the dance-floor. Their style is highly expressive and improvisatory, full of passion, tenderness and playfulness. With a wide repertoire ranging from exquisite, sensual mazurkas to joyful, driving bourrées, their music transports the imagination, stirs the feet and uplifts the spirit. 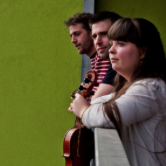 Emily Bowden - UK (fiddle) is a musician, composer and teacher from London. She began her musical life as a classical violinist, and fell in love with folk music and improvisation in her early twenties. She discovered the world of Balfolk initially as a dancer, and honed her skills as a dance-musician playing at Clandestine Mazurkas in London’s parks and at European folk festivals. The freedom and exhilaration of dance and the special interplay between musician and dancer are sources of great inspiration in her musical writing. 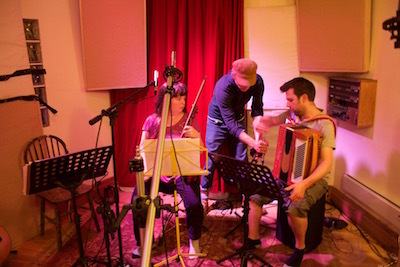 Simon Dumpleton - UK (chromatic accordion) is a multi-instrumentalist, music producer and sound engineer, based in Sheffield and working primarily in the field of British and European folk music. He adores playing music for dancing and, aside from Balfolk, is highly experienced as a ceilidh musician. 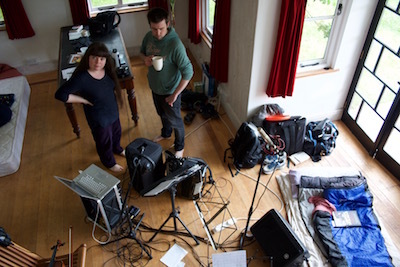 He has played in the UK and abroad with many folk artists and bands including Bella Hardy, Kirsty Bromley, Bright Season, Bobbing Joe and Trinculo. Simon Laffineur - BE (guitar) began his musical journey in Belgium. Starting with classical music, finger-picking, and singing around the campfire, he arrived in the infinite land of folk and traditional music. He stopped for a while in Ireland, the UK, Sweden, Romania and France, finding a fiddle and a good pair of dance shoes on the way. He remains curious and happy about all the unexpected meetings along the path. His former bands include A Consommer De Préférence, Waar is Boris? and Orbal. "I had just a wonderful evening of dancing. There was a real feeling of connection between music and dance, and between musician and dancer. The melodies and harmonies were lovingly crafted, but at the same time there was a sense of exuberance and spontaneity which really brought out the creative side of the dance." 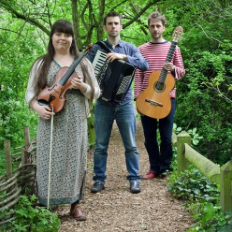 "Outstanding bal-folk with Belgian and English influence... A lovely trip to the Southbank centre in Bristol for an evening dancing to Emily and her band. Playing a mix of their own tunes and some Belgian trad ones they kept the floor filled with happy dancers all night." 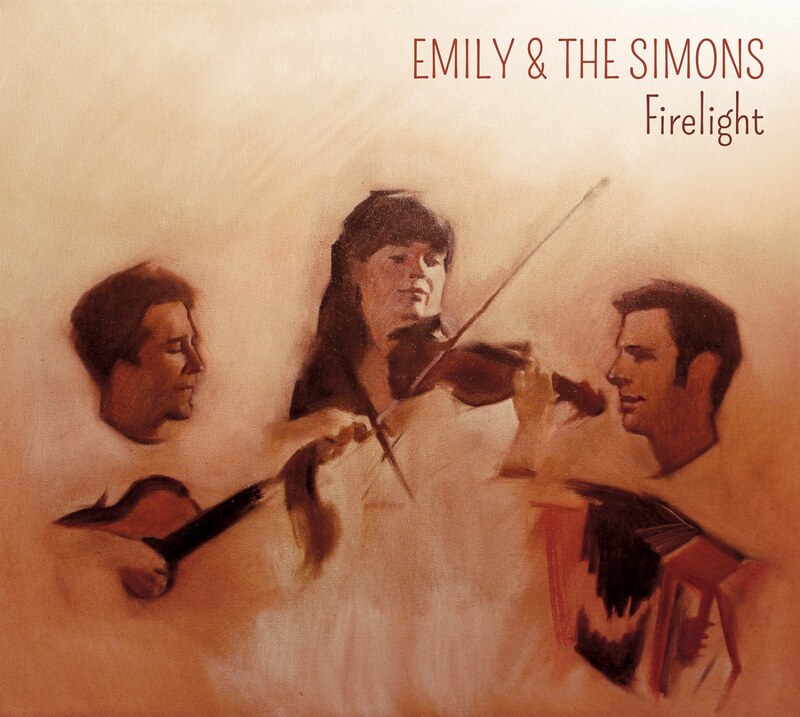 We're very happy to release our first CD: "Firelight", a collection of 10 tunes composed by Emily and arranged by the three of us. The album is available now and you can purchase it here or at one of our future gigs - see you there! We would like to deeply thank all the people who helped in making this CD and who contributed to the crowdfunding. We are humbled by your generosity. Please include your name so we know for sure which payment is yours. We will send you the CD by post in the next few days. Thank you ! Your submission has been received ! Dear organizers, you will find in this section all the information needed for promoting your event along with technical specifications for the band. 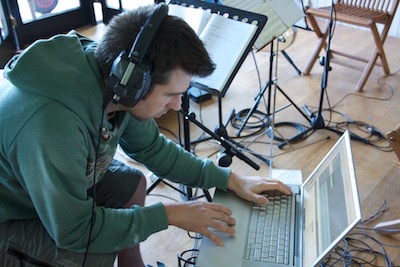 Chers organisateurs/trices, vous trouverez dans cette section toutes les informations pour promouvoir votre évènement ainsi que les besoins techniques des musiciens. 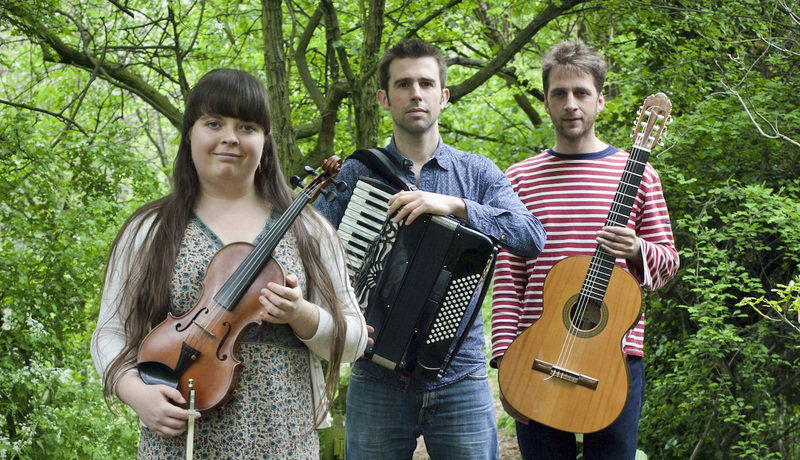 Emily & The Simons est un trio folk belgo-anglais formé en novembre 2016 dans le Yorkshire. 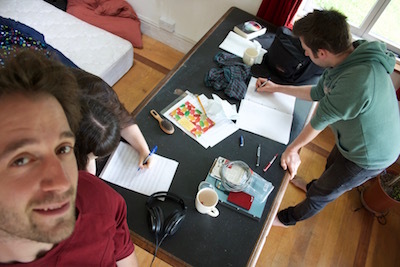 Ces trois musiciens partagent leur goût d'un bal contrasté autour des compositions d'Emily inspirées de l'énergie des parquets européens et des rencontres au gré de la danse. Ils distillent de nostalgiques mazurka, des scottishs à oublier tous ses soucis, des bourrées qui vous alignent les vertèbres. Ils laissent une bonne part à l'improvisation et à la complicité qui les unit pour vous emmener dans la danse. The band may play unplugged for concerts if the venue is appropriate. Le groupe peut également se produire en acoustique pour une formule concert si la configuration de la salle est appropriée. Pour la Belgique, les oeuvres ne sont pas reprises à la SABAM. Nous apprécions le fait que certaines organisations en tiennent compte pour majorer le cachet. Leave us a comment, ask any questions !